Melbourne-based drug developer Cancer Therapeutics CRC (CTx) has received an award for excellence in recognition of its work on novel oncology drug candidates, based on early research conducted at Monash University. The video features Monash researchers Professor Stephen Jane, Associate Professor David Curtis and Dr Paul Stupple. For more detail see award feature story. 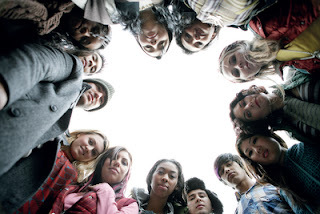 The incidence of diabetes mellitus is rising in youth in the USA. Recent publications for Central Clinical School affiliated authors in the departments of Australian Centre for Blood Diseases (ACBD), Anaesthesia and Perioperative Medicine (APOM), Immunology and Respiratory Medicine (AIRmed), Centre for Obesity Research and Education (CORE), Diabetes, Gastroenterology, Immunology and Pathology, Infectious Diseases, Medicine, Melbourne Sexual Health Centre (MSHC), Monash Alfred Psychiatry research centre (MAPrc). 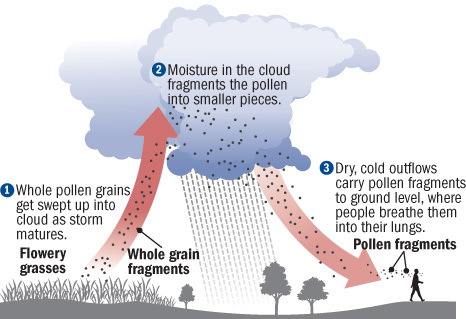 Monash University researchers say there is an urgent need to highlight the physiological mechanisms underlying thunderstorm-related asthma to mitigate against an event such as last year’s catastrophic epidemic in Melbourne occurring again. The freak asthma thunderstorm on 21 November 2016 left nine Victorians dead, caused more than 9,900 patients to present to hospitals, and overwhelmed ambulance and emergency services. It was the most lethal of its kind on record. Dr C. Glenn Begley will be speaking at the event. 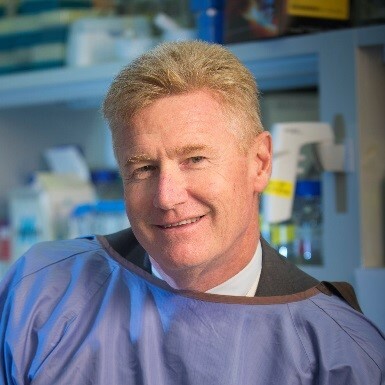 He has recently been appointed as the Chief Executive Officer of Biocurate, a joint venture between Monash University and the University of Melbourne in drug discoveries. Welcome to our 2017 CCS PhD students! Monash CCS new PhD enrolments for 2017. L-R: Anna Beale, Muthukumar Mohan, Gerard Pernes, Rose Brazilek, Michelle Flynn, Cassandra Castelino, Mary Ajamian, Amy Wilson, Laura Moffitt, Jaclyn Lange, Professor Robert Medcalf (Graduate Research Coordinator), Rania Hashad. 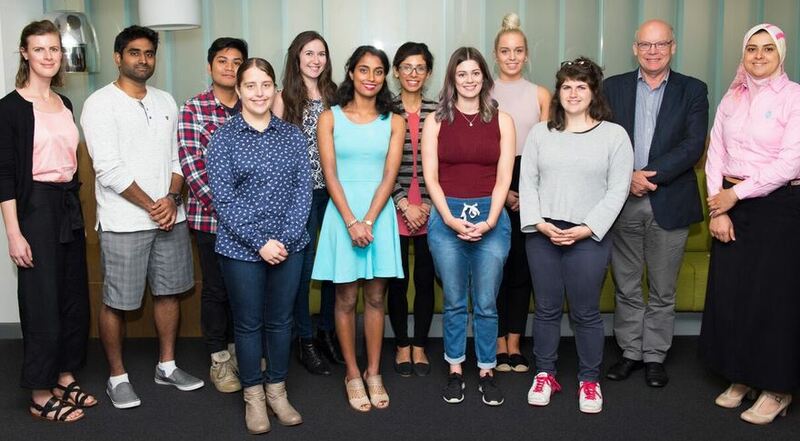 Absent: Hassan Albargy, Robert Cooper, Sarah Gutman, Sarah Janssens, Michael Keating, Rosie Latimer, Sourabh Mahta, Ethan Oxley, Larissa Ratten, Jeeva Sanjeevan, Amy Searle, Lakshanie Wickramasinghe, Abbey Willcox, Osanna Wong.